Janelle In Real Life: makeup favorites! It's been a while since I've done a beauty post around these parts... so here we go! I looooove playing with makeup and have really been on a kick lately of picking up new things to try. I've compiled a list of most of what's in my makeup bag these days. 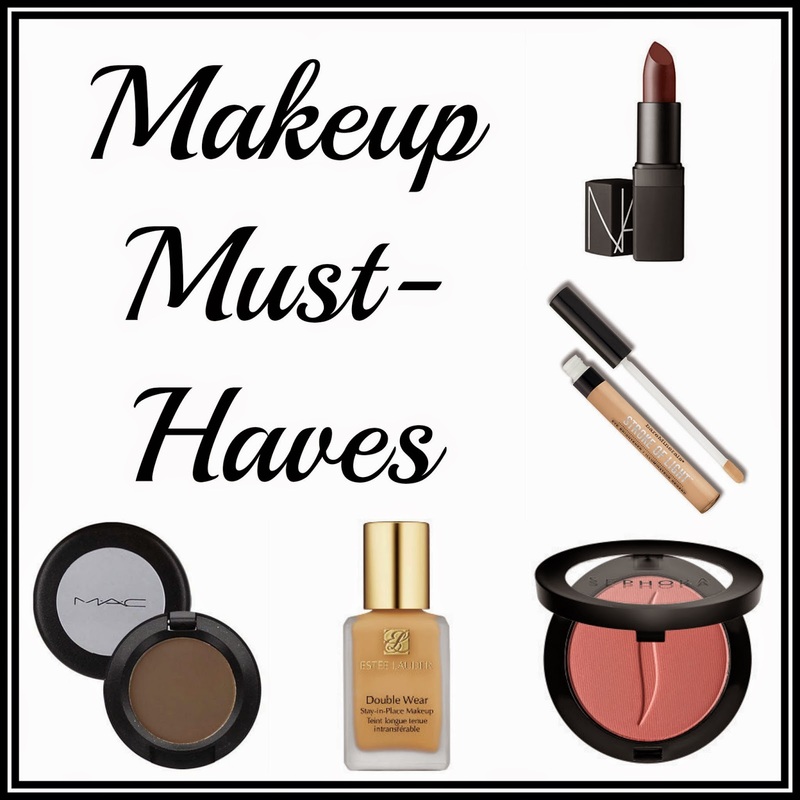 Some of them are tried and true favorites and others are newer purchases that I really like so far! I actually have 4 different foundation types, which sounds craaaaazy. 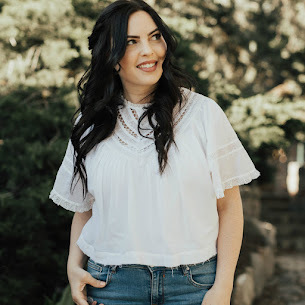 Estee Lauder double wear is what I wear for heavier coverage. It makes my skin look great covers up everything I want it to. Clinique CC Cream is my go to in the summertime. It's a really light coverage CC cream that has good SPF. I love it for when I want to feel like I'm not really wearing makeup. Revlon Photoready is a good drugstore option for an everyday foundation. It has some shine to it and provides good coverage. Can't go wrong with it! Bare Minerals original foundation is my powder foundation that I use on occasion. I use it to touch up my makeup, or if my skin is being oily and I don't want to use a liquid foundation. I use all of them for different purposes and really like all of them! I don't necessarily recommend that everyone go out and buy a bunch of different foundations, because that can get suuuuper expensive. 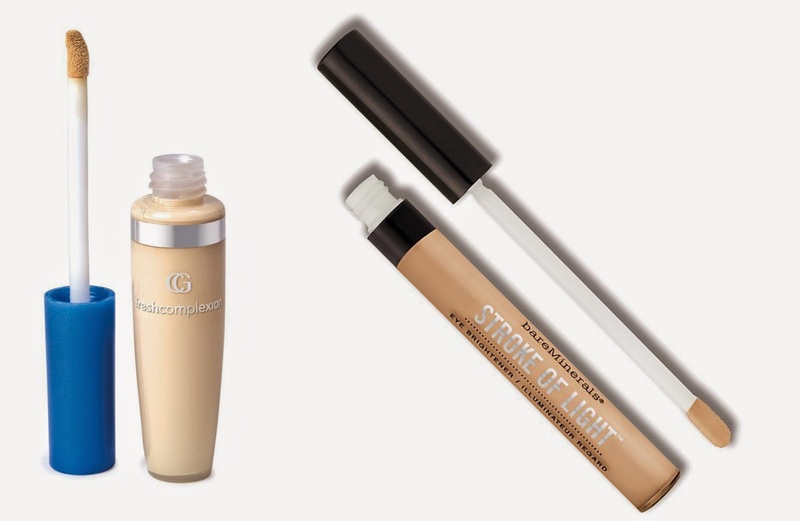 But depending on what you use foundation for, these are all great options! I love Sephora's blush in rose glow. This is a darker blush, and I love how it looks! I also use Maybelline's dream bouncy blush in pink plum, which is a lighter, fresh looking pink. For bronzer, I use Bare Minerals "warmth". I just have this because it came with my Bare Minerals starter kit I got however long ago, but I use it on occasion! I've used Covergirl's fresh complexion concealer forever and it does the trick! I recently tried Bare Minerals "stroke of light" eye brightener and I really like it for under my eyes! The color is great and it adds a little shine to counteract my dark circles. My go-to for mascara is L'oreal's telescopic mascara. I love it because it's not clumpy at all and makes my eyelashes look nice and long! Revlon colorstay eyeliner in black brown has been my jam for years. It goes on well and doesn't smudge throughout the day! When I want a darker look with my eyes, I add some dark brown eye shadow with a small angled brush over the top of the eyeliner to smudge and make them look a little smokier. I use MAC eyeshadow in charcoal brown. I rarely wear eye shadow... probably just for special occasions. I have a few bare minerals and MAC shades, and a revlon palette. I also recently got an Urban Decay palette of neutrals that I haven't totally vetted yet. I'm not much help in this category, right? 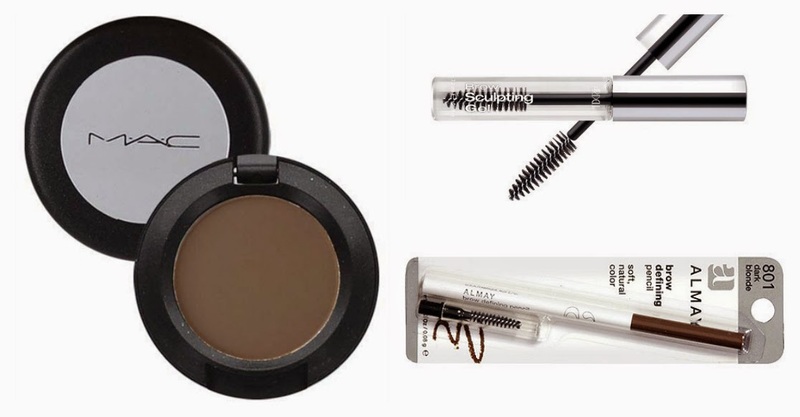 I use MAC eye shadow in charcoal brown to fill in my brows, and use an Almay brow pencil to draw in some natural looking hairs (I go lightly with the pencil). I also use Ardell clear brow gel to keep them in place! I love all of these for brows and definitely recommend them! The eye shadow makes the filling in pretty natural looking, and because the Almay pencil is pretty thin, it also makes things look more natural. I like to have defined brows, but I don't like when they look really drawn in and fake. For an everyday peachy-pink: NARS in Cruising OR Maybelline baby lips in peach kiss. Now obviously there is a huge price difference between these two. If you don't want to invest a bunch in lip color, go with the baby lips. The NARS option is AMAZING, and long lasting, and I love it, but I get that not every likes spending that much on a lip color. For a pretty plum: NARS in fast ride. I love NARS lipsticks because they feel so moisturizing on your lips and have good pigment! This one looks super dark in the tube, but goes on sort of sheer and really pretty! So now you have a pretty good idea of what's in my makeup bag these days! What are some of your beauty favorites? I love Bare Minerals products.